¡Gana hasta US$ 1,12 con Kinguin Mafia! ¡Aprende más! 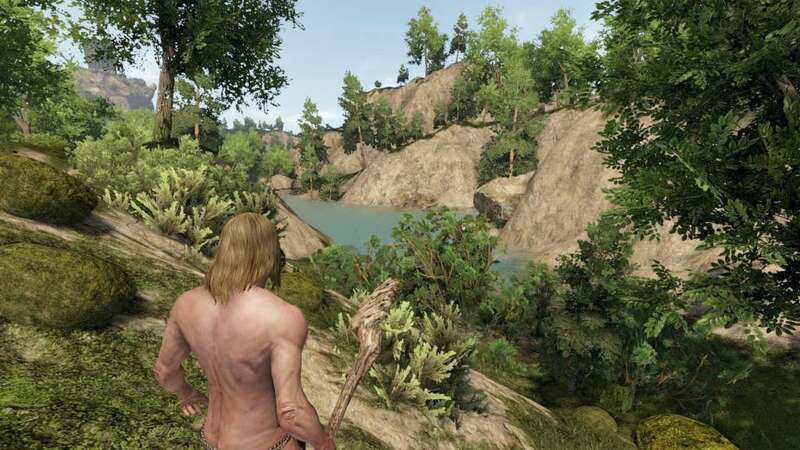 In Reign of Kings we allow you to collect resources and craft a wide variety of items needed to build a vast and powerful kingdom. We were primarily inspired by Rust & Chivalry in the development of this game. In addition to standard resources, you may compete over the Ancient Throne which resides in a throne room which overlooks the island. All players who are not part of the King's Guild are taxed on the resources they collect. 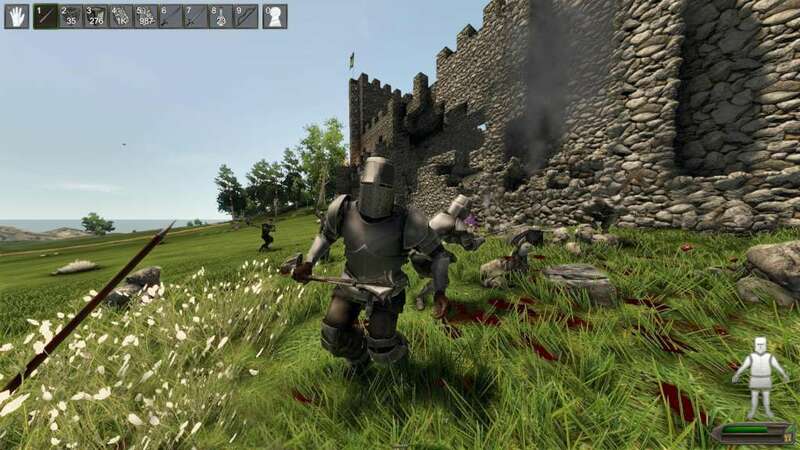 The development of a melee combat system adds a gritty and visceral feeling to Reign of Kings that will allow players to become deeply immersed in a realistic and intense medieval survival experience. The world itself is designed to inspire competition and struggles for power. Resource locations strategically spread throughout the game will create inequity and envy. Players will have the ability to make war, or even capture and hold other players in order to get what they want. Each player will have the power to decide the fate of the kingdom, or choose to entirely forego the responsibility of ruling the kingdom and roam the land as a freeman. Players have the ability to capture, hold, and execute other players. 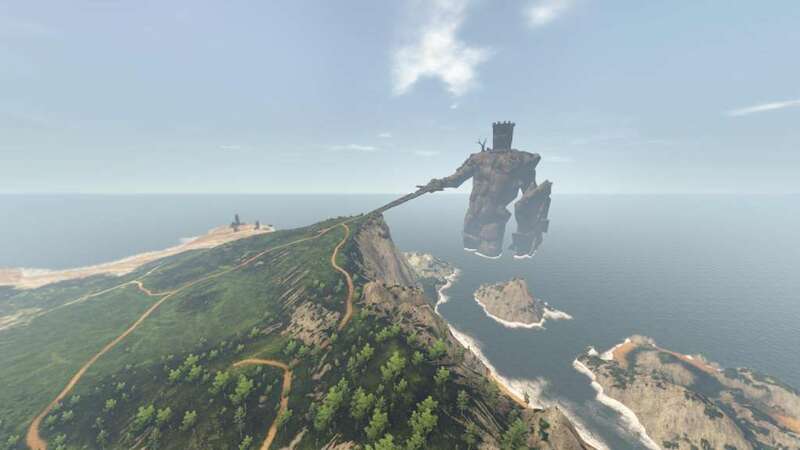 The player can capture them with rope or iron shackles. Once shackled, a player is no longer able to access their inventory aside from their orifice slot. The captured player's inventory is accessible for the captor to search them. Additionally, a rope will be attached to a prisoner which will allow them to be pulled in any direction their captor wishes. In order to avoid severe grieving situations, players can hide a sharp stone or lock pick in their orifice. This "hidden" item can help them escape capture or commit suicide. Punishment & Death Once the player has control of a captive, there are several options available for managing a prisoner. Options range from simply locking them in a cage or dungeon, public humiliation in the pillory, or simply executing them. The Ancient Throne can be claimed by any player. Holding the Ancient Throne will grant its owner dominion over the entire map (change name of realm) and taxation rights over every other player. The King of the Ancient Throne will receive the ability to collect the resource tax from every player within the game by visiting the Ravens Treasure Tree. The ravens automatically collect taxes in the game (behind the scenes of course, sneaky little things), and place them in the chests in their Treasure Tree. In addition, the King of the Ancient Throne will have access to the Ancient Sword and the Ancient Crown. Players will have the ability to collect resources and to craft them into useful items or building materials. Additionally, the progression mechanic for being able to craft higher valued items will be reliant on upgrading production stations to a higher level. (Need a better quality sword? Upgrade your anvil.) Production and refining stations can craft or refine items as long as there are resources available unless ordered to do otherwise. This allows the player the freedom to do other things while his kingdom remains productive. Collection stations can be placed for grain and water. Collection stations will passively produce raw materials given they have enough fuel. These collection stations will be fully interactive and if left un-defended will offer a nice target for unscrupulous or enemy players. With this in mind, the player will want to protect their resources. Once the players build stone walls and iron doors, players will not be able to simply bash their way inside. Players will now need to employ one of many different techniques for entry. The ranged option is to build trebuchets and launch large stones from afar at your opponent's castle. Players must place a counterweight to offset their projectile weight in order to get the range and destruction power they need from the stone they are launching. Players may also rotate the trebuchet. This alignment takes some practice but is very rewarding when set correctly. Players may choose to go a more stealthy route by crafting lock picks. Lock picks, however, are very hard to craft, and do not work on iron doors and iron gates. Players who like it up close and personal may use the explosive keg, which takes a very large amount of resources to craft, and you'll need a few of them to get through multi-layered walls. Players defending a base may employ their own trebuchet or set up a ballista which is great for killing other players at range. Our combat systems allow melee and ranged combat to take center stage when war breaks out. Inspired by games like Chivalry, Reign of Kings' combat system is being tuned for satisfying, fast paced action. Players fight over the scarce resources and face off to defend or capture the throne. Players equip brutal weapons and use mouse buttons in an attempt to chop, slice, & stab through an opponent. Players will want to upgrade their weaponry to inflict the highest amount of damage as melee combat will always be dangerous and unpredictable. Armor will be highly prized in Melee as it will keep you in a fight much longer. We support delimbing and decapitation of an opponent to represent the visceral and brutal experience of medieval close-quarters warfare. 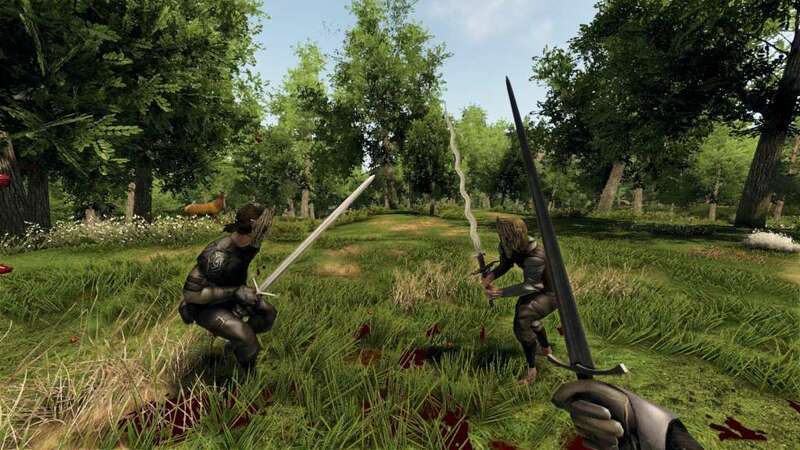 A variety of period realistic weapons and armor will be available for the player to craft as they progress toward elder content. 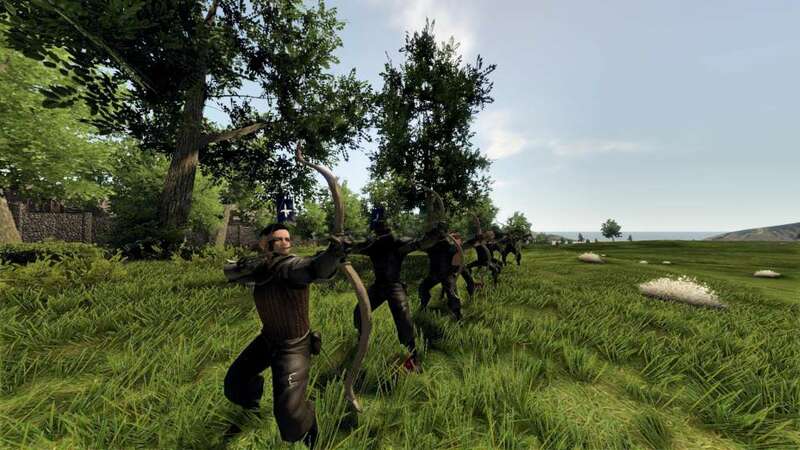 Ranged fighting in ROK will encompass the use of the bow, crossbow, javelin, and throwing stones. A good way for a player to stay alive in a fight during the early game will be to use ranged weaponry and speed. Keeping out of sword range from a marauding knight is always a good idea, but even more so if you’re not equipped with the quality of armor that can absorb a hit or two. A simple bow and spear may be capable of taking down wild game, but may not provide enough piercing power to get through the finest plate male. It’ll be important for the player to learn what kinds of weaponry are most effective in a fight as it will be critical knowledge to stay alive and have impact in a fight. Higher tier Steel-pointed javelins will be able to pierce some armors, but the crossbow is the best option for punching a hole through the most heavily plated opponent at range. The general rules of ranged weaponry will apply in ROK to determine functionality. The bow will have the highest accuracy and reload speed, the crossbow will have greatest piercing power but is slow to reload, and thrown weapons will have the highest damage output, but are for short range use only. ROK features a plague-ridden village that was cursed and abandoned by the old gods. This village features plague-ridden villagers, loot crates, and some high-end loot drops. It is dangerous to be in the village for long periods of time due to the disease that will damage the player's health. 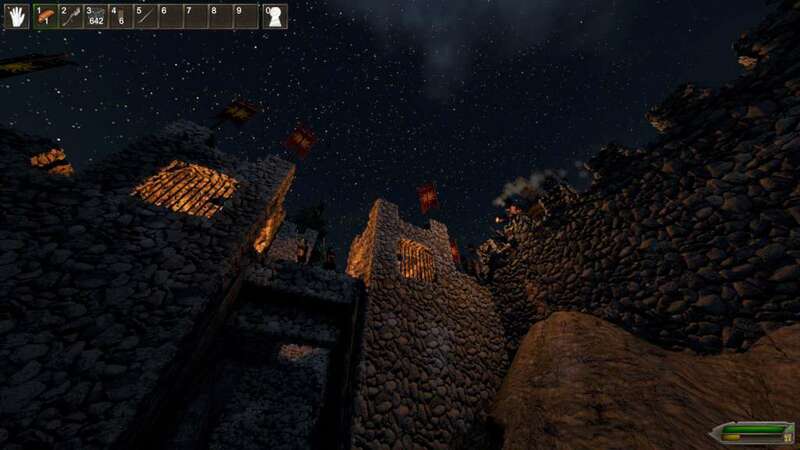 ROK uses a roguelike death model similar to Rust. When players die, they will fall to the ground as a ragdoll container that can be looted by other players. Dead players will be provided with a random re-spawn option that can be improved through bed placement. Players begin the game by creating a unique character. They will be able to refine their look in great detail by editing their body parts, choosing hair, and establishing a banner scheme to help them identify loyal friends during gameplay. You can also choose the voice style of your player's taunts. Using the standard block, ramp and stairs, ROK building materials will consist of sticks, thatch, clay, wood, re-enforced wood, and stone. Thatch, sticks, wood and clay will be widely available and often the first choice in material for beginning level housing. While these materials will offer shelter from poorly equipped enemies, they are easily breached by other players. Stone will offer much greater resistance to basic attacks and will only be damageable with siege tactics. Players will be able to build their homes, towers and castles any way they like, but will need a great deal of space during elder content play in order to hold a large number of production, refining, and collection stations. Building castles will be a natural occurrence for players who reach elder content gameplay. With the large number of production stations, refining stations, collection stations, chests, torture devices and respawn beds available for the player to build, comes the need to protect a large footprint of space.